It’s a New Year and you’re ready to tear it up in your medical sales territory…well, your competition has other ideas. Listen as Mace Horoff describes how your medical sales competition is conspiring to eat your lunch over the next twelve months. How do you feel about your competition? Love them or hate them, few things can drive you towards success in medical sales like your competition. In fact, you should give thanks for your competitors every day of your career. Does this sound crazy? 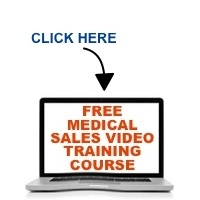 Listen to this weeks Medical Sales Guru Podcast and you will learn to love your competition.